Built in 1897 by architect Charles E. Burden, the Hayes School is one of the earliest documented examples of a District public school building designed by an architect in private practice under a new policy initiative of 1896-97. 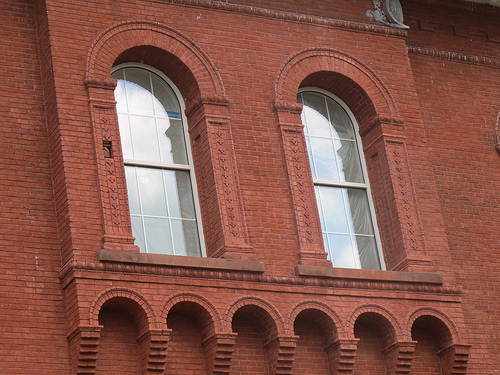 The new policy represented a break from common practice of the 1880s and 1890s, when the District public schools were designed in variations of the Romanesque Revival style and all were products of the Building Inspector’s Office staff. School buildings of the period 1896 to 1910 were designed in the Classical and Renaissance Revival and the Italianate styles. 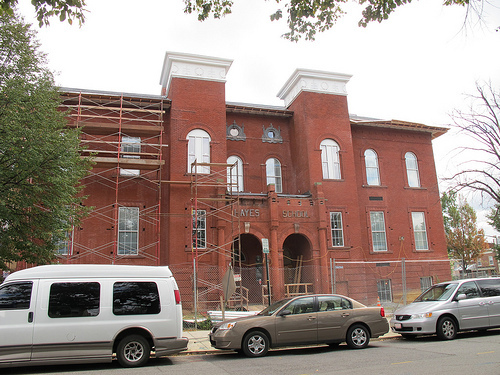 Many were designed by Washington architects in private practice under contract with the Building Inspector’s Office, later the Municipal Architect’s Office. The District Commissioners instigated this change in the interest of improving the esthetic quality of school buildings. The Hayes School was named in honor of the 19th President of the United State and was intended for white students. In 1947, in response to changes in the neighborhood, the school was transferred to the black school divisions. It now appears that it will be a new Senior Wellness Center for Ward 6 residents.